The healthcare facility needed an attractive multi-purpose buffet to fit in their upscale LTC Dr. The modular countertop appliances selected were key to the design and required prewiring of all the various outlets to a single point connection to allow for maximum flexibility. The FSD needed to provide an attractive multi-purpose station in his upscale LTC DR. 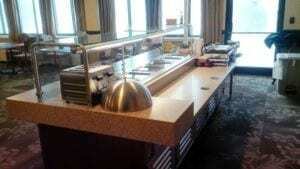 It had to quickly morph from buffet to cooking demo site to limited mobility feeding to operator serve feeding. 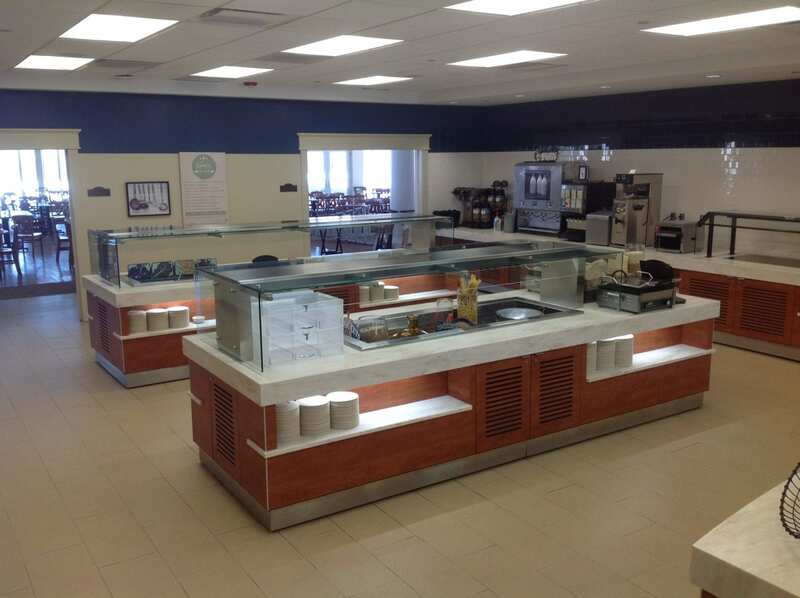 We were challenged with cramming an entire cafeteria plus all of the above into a short counter that would blend into an upscale space, while blending it to look like a piece of fine furniture. 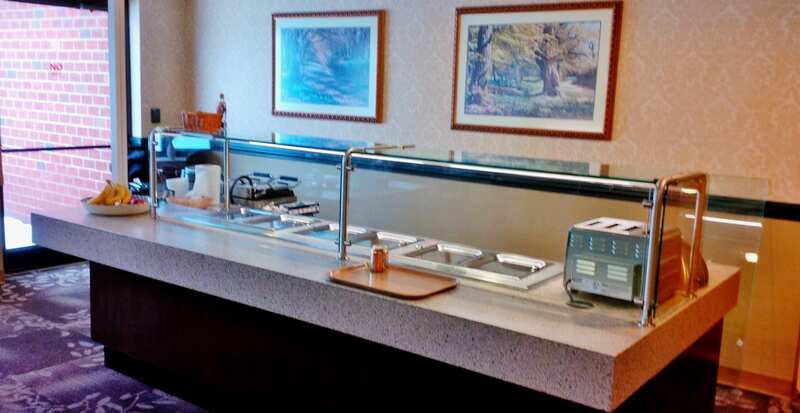 Multiteria designed a high end functional and aesthetically designed buffet for this healthcare facility. 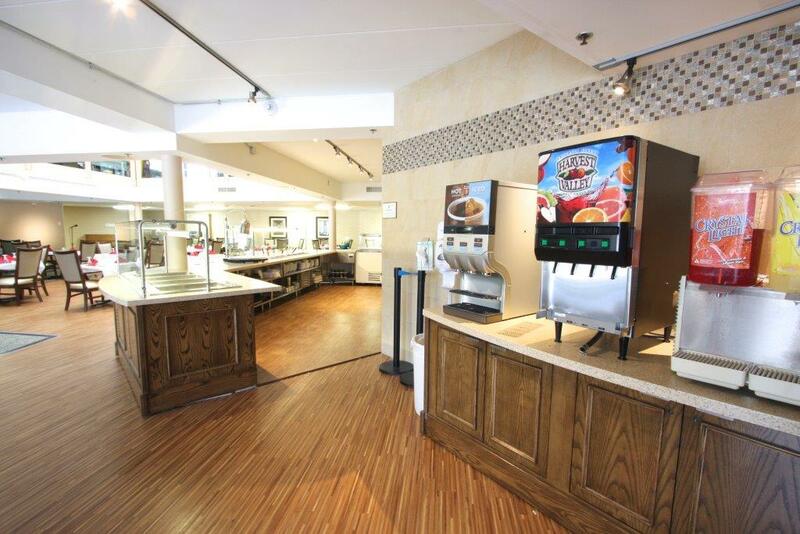 Moving forward resident feeding will continue to be addressed in innovative fashions in non-traditional facilities. 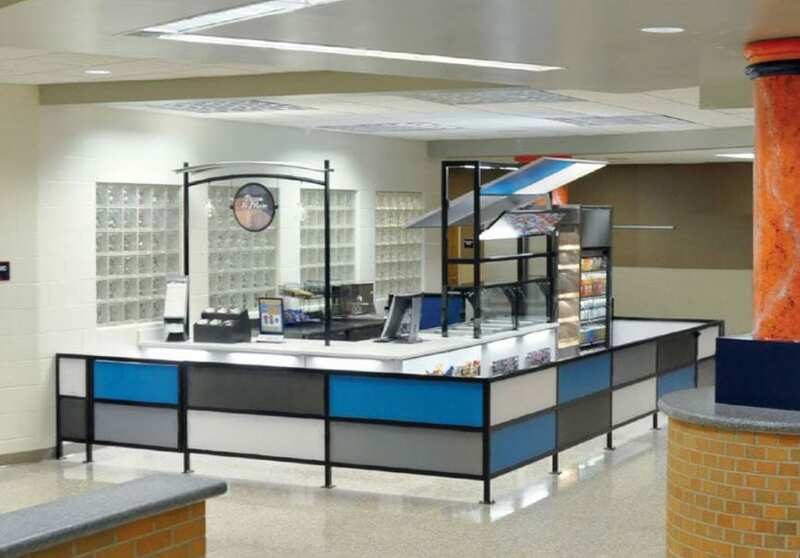 Multiteria provided the flexibility to create non-obtrusive fixtures that delight the population. 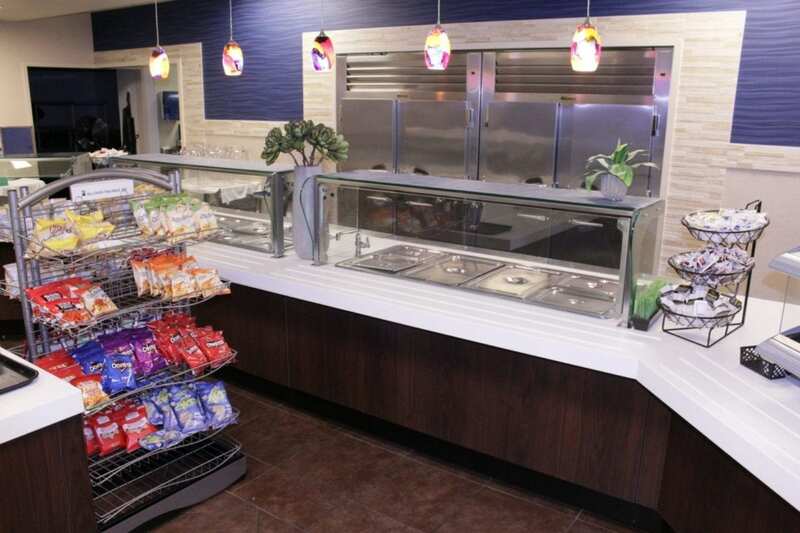 Solid surface counter tops and minimalist case work allowed the foodservice components to “disappear” in the room, while highlighting any food that was to be displayed.